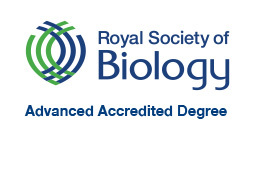 The Biological Sciences route begins at level 3 after completion of the core Life Sciences curriculum. The ethos of this programme is to give students a truly research led experience with virtually all lectures given by PIs who are actively researching the subject areas they present lectures in. 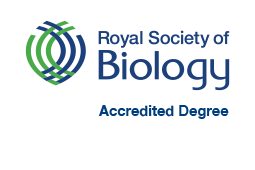 With this aim in mind the Biological Sciences curriculum has been designed to align with the world class research currently taking place within our Research Divisions. The content of the programme has been decided by these PIs. Students will be exposed to the latest findings in these areas with researchers using their research to illustrate theory. The overall curriculum follows a systems biology approach with students choosing to study specialised areas within this which will then define their final degree topic designation. In semester one of year three, all Research Divisions contribute to four core modules which prepare students for their specialist topics. Each Research Division provides a module in semester two which feature the current research taking place. The choice of specialist topics in levels three and four along with the level four research project will define the designation of the final degree award. In the Honours year 4, students undertake a practical-based research project in a cutting-edge laboratory environment. This research is supplemented with attendance at seminars and lab meetings to immerse students in the research experience. In semester two a range of advanced theory modules in specialist areas are given by our leading research scientists. The Biomedical Sciences welcomes you at level 3 after completion of the core Life Sciences curriculum. Our new research-led Biomedical Sciences programme includes opportunities to study core themes Physiology and Pharmacology alongside more-focused studies in Neuroscience. The programme is designed and run largely by leading researchers from our Research Divisions and the School of Medicine. In year 3, students are provided with a thorough, contemporary overview of their chosen subject(s) within a modular curriculum. Practical, workshop and problem-based study sessions are major features of all modules. In the Honours year 4, students undertake either a practical-based research project in a cutting-edge laboratory environment or a theory-based research dissertation. These research components are supplemented with advanced theory modules in specialist areas given by our leading research scientists. The choice of module topics in years 3 and 4, along with the subject area of the research project or dissertation, will define the designation of the final degree award. Critically, the programme will provide students with a firm grounding in current understanding of the structure and function of the human body in health and disease, alongside an ideal opportunity to develop into highly-skilled and knowledgeable scientists whom we expect to flourish in the new era of biomedicine. The MSci Programme takes students coming from the Biological or Biomedical Sciences streams. This programme provides an additional year of study in the indicated specialisms that is designed to increase your practical ability and employability, giving you focused training in laboratory research that results in the award of a Masters degree. Based from the outset in one of our internationally renowned research laboratories, you will build on your Level 4 experience but go well beyond it: you will develop your own research project that you will write up in the form of a grant proposal, receive training in a variety of research skills and carry out a 5-month, full-time project in your host lab based on the proposal you have written. In addition to enhancing your laboratory skills you will develop your ability to think critically and analytically, learn how to formulate new ideas and research hypotheses and develop skills in data analysis, interpretation and communicating scientific information. The Procedures for managing student applications to transfer to the SLS MSci programme are available here. Students entering their fourth year and who are interested in applying for the MSci Programme should complete and return the MSci Application form with their CV as soon as possible, to Schooloffice-LS@dundee.ac.uk The deadline for application is Friday, 31 August 2018. Late applications will be considered, but only if space is available.